One of my favorite things about DC Comics is their animated universe. Something that they have mastered over the years, DC and Warner Premiere have been putting out quality movies for close to a decade! The next movie on their slate is Justice League: War. Technically a followup to their hit Justice League: The Flashpoint Paradox, War will tell the story of the first arc of the New 52 JL team. I am really looking forward to this movie as the New 52 has just continued to impress me still three years in! Here’s our first look at Shazam from the movie! What do you think Towelites? Get ready for what’s coming because Villains’ Month is not ending when September is up! Look for the fallout from this month’s events to have an impact that will have the DC heroes cleaning up the mess for months to come! Here are some great looks at some of the books arriving in Decemeber! Preorder these at your local comic book shop or favorite online retailer! Are you ready for Arkham Origins?! I am! 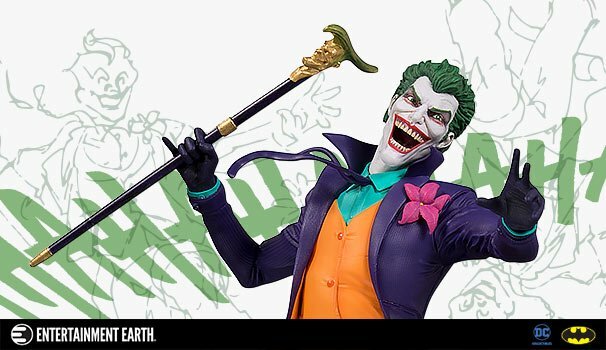 Check out what DC Collectibles has lined up in terms of action figures from the game come December! Some great looks at the assassins from the game and also the awesome costume designs! I really like the design for Anarky! Also look for two of your favorite Crime Syndicate members in single packs! Both Owlman and Johnny Quick will be available, Johnny even comes with mini-member Atomica! Well since the recent termination of their DCUC line, Mattel is back at it trying to pick up the pieces and put out a successful toy line. This time around we are getting a youth friendly 6″ series with Total Justice. I think it’s a great idea for Mattel to start concentrating on the populace that actually will consistantly buy action figures and thats parents. Collectors are too picky. Figures are too expensive. Funny thing is that Mattel is going to pull a Hasbro, as their 6 inch line dissapears, a 4″ line takes it place. Get ready for DC Multiverse! Not too bad with 14 points of articulation. I’ll hold my breath though, the last series they had at this size failed.